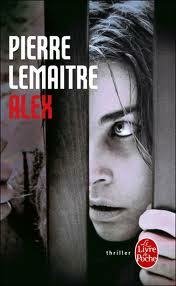 If you’re looking for a novel that’ll knock you off balance with a series of twisty-turns, you could do worse than read Pierre Lemaitre’s cunning thriller Alex. Alex is a venomous little viper of a book – just when you think you’ve got a grip on the story, it slithers out of your grasp and slides off into another dark corner – and we all like that in a story, right? Nobody wants to plod the same old linear path. There’s nothing more depressing than getting a chapter into a book and realising you know how it’s all going to play out, to the bitter end. It’s almost impossible to describe the plot of Alex without revealing too much, but the novel begins with the seemingly random kidnapping of a young woman called Alex Prevost, who is hung in a cage in a warehouse and left there as food for a filthy horde of hungry rats. A diminutive police inspector called Camille Verhoeven – a man whose towering ego could give Napoleon a run for his money – is persuaded to take on the investigation, despite his own beloved wife having been kidnapped and murdered in the past. Camille and his team search frantically for Alex, and the book careens along at a good old pace, upping the tension as Camilles race to save Alex before it’s too late. So far so good. But then the novel throws a narrative curveball, and then another one, and a few more, and you realise that Monsieur Lemaitre – and, I should add, his admirable translator Frank Wynne – have been playing you for a fool. It’s the disturbing and compelling description that grips initially in Alex, but the novel twists into something more complex and interesting, and Camille’s search for Alex takes on a different kind of urgency. Camille is a really interesting little man, egotistical and difficult, but his trusting relationship with his team is respectful, touching and supportive – in sharp contrast to the heart of darkness that swirls around the novel’s eponymous heroine. But it’s the plotting that takes your breath away. If you’re a crime writer who wants to learn how to your readers down unpredictable paths, flip your story over, turn it inside out, change the game — oh, you you know what I mean — I’d absolutely recommend you read this novel very closely. A former psychologist and teacher, Lemaitre’s an award-winning writer in France, and but Camille returns in another novel in July. I’ll be there. What I liked: If you’re going to write a crime novel then you’ve got to scatter a few surprises in the story like the nasty pellets that Alex is forced to consume in her dank prison. It’s often said that novelists are either plotters or pantsers, they work everything out beforehand or they fly along the page by the seat of their pants, not knowing where the narrative is hurtling as they write. Alex is such a finely-tuned narrative that I can’t believe that Msr. Lemaitre didn’t plan it carefully. Me, I need to know where I’m going when I’m writing, or I start wandering aimlessly, and it takes a lot of work to pull in the story. But I know plenty of writers who can’t bear to work that way. They love the creative freedom of a blank page. But what about you? Are you a plotter, or a pantser? When you sit down to write, have you carefully planned out your story or novel, or do you like to, you know, make it up as you go along? This entry was posted in Books, Reviews and tagged Alex, Camille, Crime fiction, France, Frank Wynne, Napoleon, Novel, Pierre Lemaitre on April 17, 2013 by Crime Thriller Fella.